Naming the best goalie in the NHL is usually a heated and opinionated debate. Much like a quarterback in the NFL or pitcher in MLB, the unique duties of the position and its ability to single-handedly support a team make it all the more polarizing. Typically, goalies are ranked on a “what have you done for me lately?” basis. Currently, Carey Price would fit the bill as the defending Vezina winner, after a historically great campaign. Hockey is subject to cyclical performance and a larger sample size is necessary to determine the best man between the pipes. With a large enough sample size and a look at the stats, there is no question that there is only one answer to whom you would want in net to win one game: Henrik Lundqvist. Since Lundqvist entered the league in 2005-06 he has been among the top 10 in the three key goaltending stats more than any of his competitors. 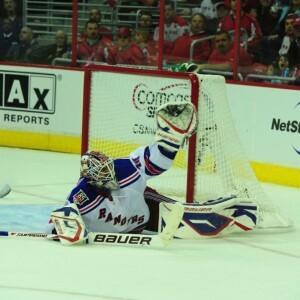 He finished top 10 in goals against average in eight of 10 seasons, top 10 in save percentage in seven of 10 seasons, and top 10 in wins in eight of 10 seasons. His play has been matched by various competitors during single seasons but his consistency has been unmatched over his career. Henrik’s eight time appearance in the top 10 in GAA is the most in that span with the closest being Martin Brodeur registering five and Cory Schneider four. As for his seven seasons in the top 10 for save percentage that is also first with Miikka Kiprusoff and Roberto Luongo tying for second at five. Finally, his eight top 10 wins is actually tied for first with Marc-Andre Fleury but in the key stats previously mentioned Fleury falls far short of the Swede. Along with these statistical feats have come the deserved accolades. Lundqvist has finished top 10 in Vezina voting and All Star voting every year of his career, and has been in the top 25 in Hart Trophy voting. 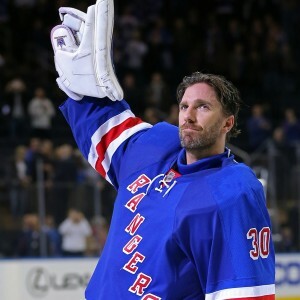 Even accounting for the timeline, in which some goalies retired and others ascended on the back-end, when the statistics are broken down it is clear that if you wanted a goalie to start one game, one series, or one season for your team, the best choice based on the numbers is Henrik Lundqvist. When looking for the best, consistency and a large sample size must be taken into account. 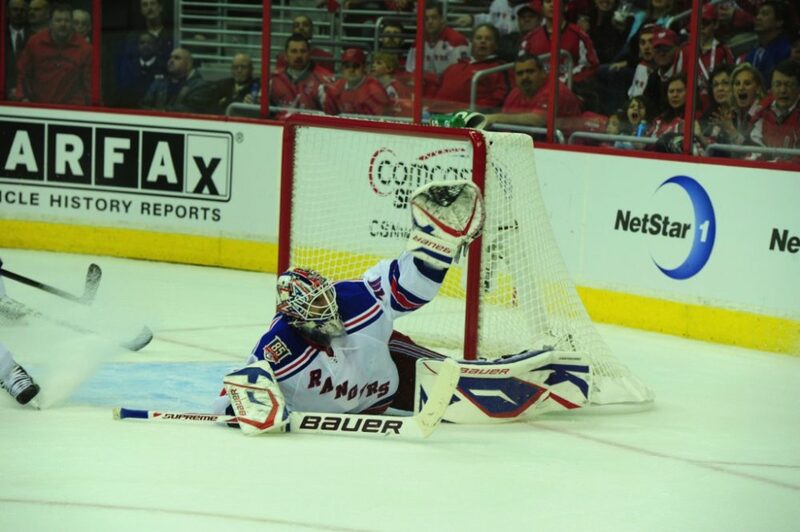 Lundqvist has stayed in the top tier year in and year out. 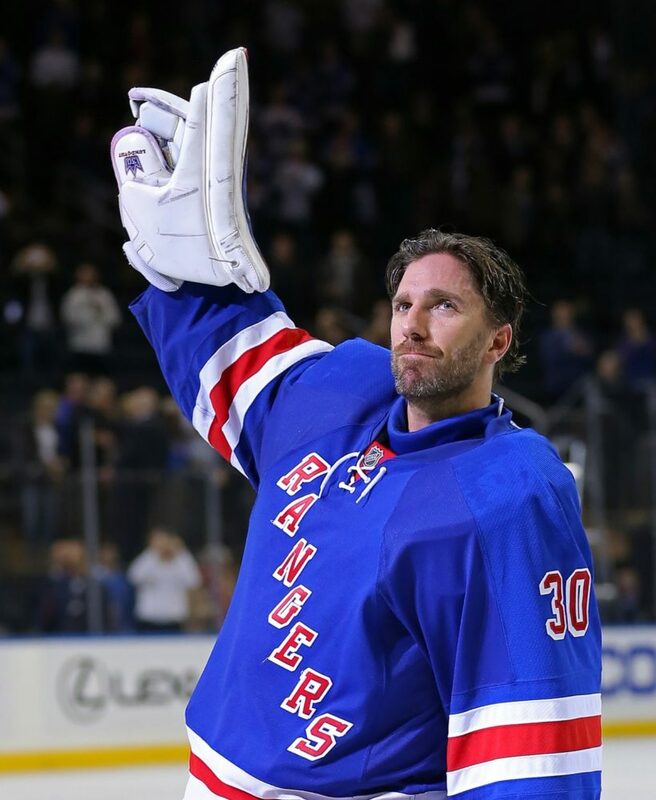 Though challengers have come and at times played better on a year by year basis the last decade has been dominated by the best goalie on earth right now: King Henrik.